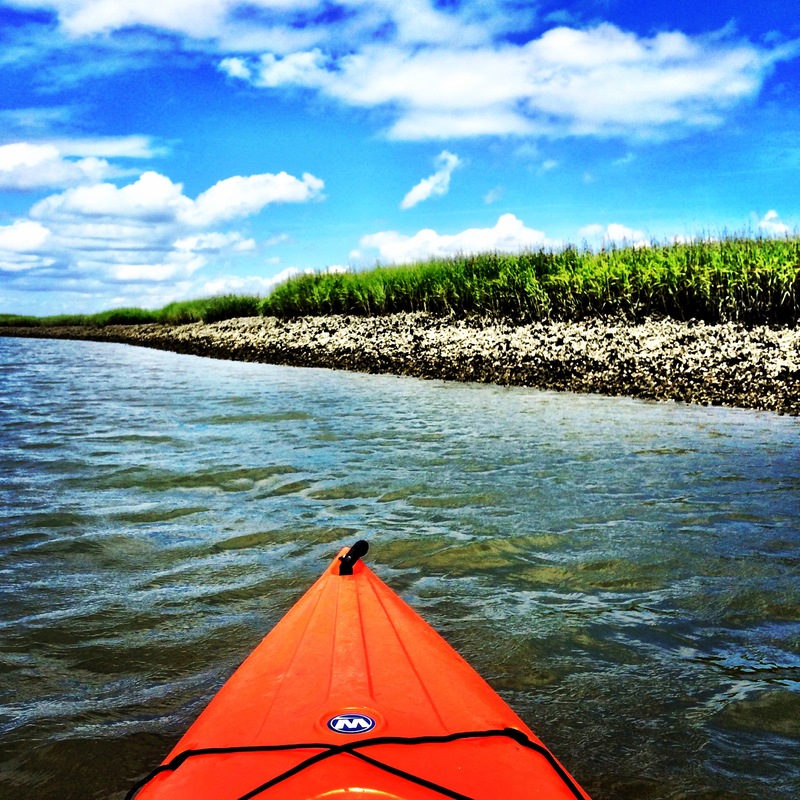 Our kayaking trip and paddle-boarding lesson we took with Outside Hilton Head were definite highlights of the trip. The kayaking trip was a two hour tour where we explored Shelter Cover and the surrounding area. We saw so many dolphins which was really cool. Our guide was super knowledgeable and taught us a lot about the area and the wildlife. My sister and I were really looking forward to paddle-boarding- it was practically a requirement for our trip. It was our first time trying it and we both loved it! Not only was it a good workout, it was a fun way for the three of us to see the area from a different view. If any of my close friends are reading this, they are going to be surprised that I am recommending anything involving biking. While I may be big into spin class, biking isn’t my favorite. That just means it must be really amazing in Hilton Head! There are bike paths all over the island. The paths are distinctly separate from cars which made me feel really safe while riding. We rented bikes with Hilton Head Outfitters for our stay. It was super easy as they dropped them off at our hotel and also picked them up! Talk about convenient. We rode our bikes out for breakfast, to do some shopping and just to explore. I’d absolutely recommend seeing Hilton Head via two wheels! Living in New England, there were definitely a lot of items I wouldn’t normally see up here on the menus at Hilton Head restaurants. Whenever I am travelling, I think it’s best to try the local food- it usually ends up being the best too! Some things I loved trying: fried green tomatoes, grouper, Carolina trout and moonshine cocktails. Check out some of my restaurant recommendations for where to try the local favorites. I’d love to make a trip back to Hilton Head soon and you better believe I’ll be doing all of these things again when I do! I love the food choices for restaurants down there. Endless amounts of great kitchens on that island and even in Bluffton too!